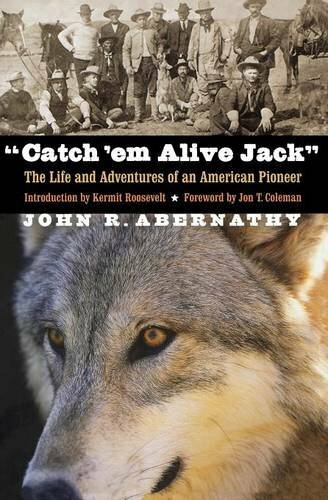 Best known for catching wolves alive with his bare hands, John R. Abernathy (1876–1941) was born to Scottish ancestors in Texas. Raised in the burgeoning railroad town of Sweetwater, Abernathy considered himself a true son of the Wild West. In his amazing life he worked as a U.S. marshal, sheriff, Secret Service agent, and wildcat oil driller. But it was the accidental discovery of a bold means of catching wolves alive that made Abernathy famous and drew the attention of President Theodore Roosevelt. By forcing his hand deep enough into a wolf’s mouth, he could stun the creature long enough to capture it, a service for which he was paid fifty dollars by eager ranchers. This Bison Books edition brings Abernathy’s vivid account of his life into print for the first time since its original publication in 1936. John was a true western man. He loved the land and loved to hunt. He even hunted with Theodore Roosevelt on several occasions. This book was written by John himself, so it is probably pretty accurate on how the West was during his time. He encouraged his kids to do things that other boys were not allowed to do such as ride horses across the country ( look at Bud and Me book). John Abernathy had a very interesting life that is definitely worth learning about.